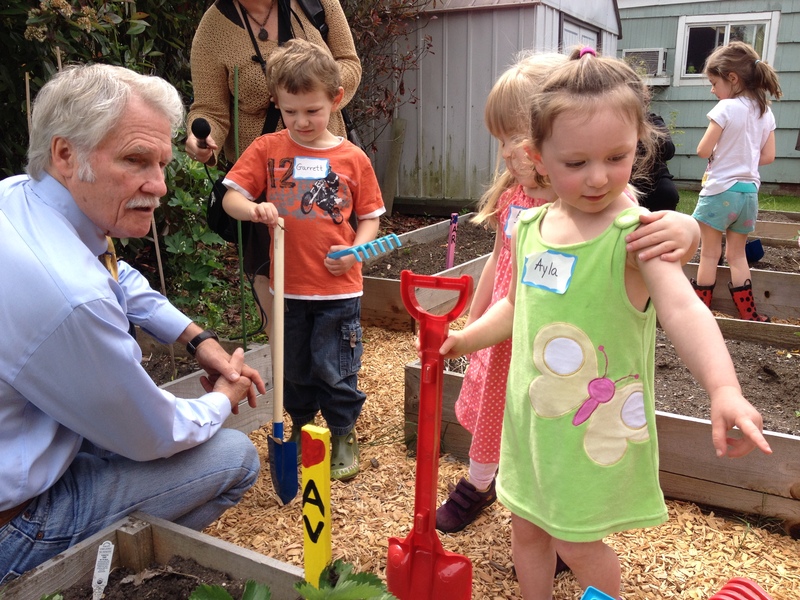 Governor Kitzhaber today gathered with Representatives Val Hoyle and Nancy Nathanson to visit a Eugene early learning provider certified by the Oregon Early Learning Division’s rating system for qualified early learning and child care facilities. Friendship House Preschool is one of 39 sites statewide that has received a star rating from the Quality Rating and Improvement System based on its offerings to help prepare young Oregonians for kindergarten. The Quality Rating and Improvement System is designed to raise the quality and consistency of child care and early learning programs across the state. It will also provide parents a reliable tool for reviewing child care and early education options. Programs are evaluated in five main areas, including learning and development and health and safety, that influence a child’s growth, health, and well-being. Oregon’s Early Learning System Director Jada Rupley said child care providers are an important part of redesigning the state’s early learning system. “Many are working with regional Early Learning Hubs to provide quality settings and engaging programs that can help improve outcomes,” Rupley said. “We want to learn about what’s working while providing tools that ensure a solid foundation for lifelong learning in school and beyond.”Read the full, official press release here.